It’s hard to be teachable. Damned hard. Especially if you’re an evangelical. As a young believer in my early twenties, I was exposed to the Puritans (via J I Packer). I was smitten. They had so much to say that was compelling. And they were Reformers. With a big ‘R’! I became a disciple. I too became a Reformer. My mission: to reform everyone else. My friends, my church, other churches! Sure I was happy to listen to your ideas about Christian faith. But what I really wanted was for you to listen to my ideas. Puritan ideas. To be honest, unless your ideas lined up with those ones, you couldn’t teach me a thing. Not about Christian faith, anyway. Evan the evangelical is walking down the street when he meets Cath the Catholic, and Theo the Orthodox believer. Cath and Theo are talking about God’s grace. Evan joins the conversation, and politely listens. What is he listening for? If he’s a good evangelical he’s listening for an opening where he can insert some wisdom about the true grace of God. He knows these guys are strangers to the truth about God’s grace: they’re talking about it as though the thing is some sort of substance that flows, for heaven’s sake! They’re talking about sacraments. Theo the Orthodox is even talking wildly about having your humanity infused with the divine! Something his priest said, apparently. Sad stuff. Evan is not there hoping to learn, or be taught. He knows that he is the one in possession of the truth. What could he possibly learn from these guys? Evan is there to teach. If he can get them to listen to one bit of truth, he’s done well, he’s had a win. Because Evan is on mission. Whenever he’s not with another evangelical from his own camp, his job is Reforming. There are some designated teachers that Evan will learn from. They are guys who say things that he already thinks, and teach him things he already knows. Evan calls this ‘faithful preaching’. It’s not easy for Evan to be teachable, is it. I don’t know how you feel, but I suspect that when it comes to faith matters, Evan doesn’t have a very attractive personality – know what I mean? I don’t know if you know anyone like Evan, I see a lot of myself in him. What makes it harder for Evan and me is, while everyone else believes the things they do because they’ve learned them from their tradition – they’ve been taught them and trusted the teaching – evangelicals like us have a different way of coming to our convictions. We learn them straight from the Scriptures. We just read the Bible, and trust the words on the page. It’s nothing to do with tradition, or culture, it’s just simple bible truths. God spoke, and we listened. While to an outsider this might sound laughable, Evan and I really believe in that: ideas free from the taint of tradition or culture. We talk about it often. The things the bible says are Word of God. I believe those things in a simple way. So the things I believe – they are Word of God. They are The Truth. You might think this belief in Scripture would leave us wide open to being challenged in our convictions. What if we’ve misunderstood the text? But actually it’s not much good asking me to read the bible text from a different angle. Because what I’ve already found in Scripture is the very Truth itself, on which our salvation depends. That Truth has set us free. How could I have got it wrong, when it’s the Truth I’ve found there? There’s not much room for me to reconsider these beliefs. In fact the very idea smacks of apostasy. If you challenge me to read the text from a different angle, most probably all you’re really doing is introducing human ideas like a cloudy lens that will distort my reading. That’s the problem with a lot of theology. So often it pushes us to read the text differently. In other words we lose the pure simplicity of our ‘simple’ straight reading. We could end up losing the Truth. And it’s not just theologians who are suspect: ordinary people – they hate the truth. There are not likely to be good guides. Anything they challenge me on – they’re likely to have bad motives and be trying to lure me away from the truth. Actually, the very fact that they are trying to change my mind is evidence that what I had believed was right – otherwise why would people like them be trying to derail me from believing it!? It pays to be savvy to people’s real intentions. We are not unaware of Satan’s devices. It’s not easy for Evan and me, and evangelicals like us, to be teachable, is it? Not easy to be open to the people around us. Some people tell us there is something lacking in our faith – sometimes they identify it as humility. We feel, however that they have misunderstood us! We are just being faithful. Well, Evan and I still struggle with these traits. We’re still stuck in these same loops. And of everyone on the planet, I feel that he and I are among the least teachable. Which is not a great recommendation for following Jesus, is it? It’s nice to have a birthday isn’t it. For a blog, I reckon the most natural milestone to mark is the hit count. Yesterday The Grit in the Oyster reached 30 000 visits. They’re the ones we can log, anyhow. So Happy Birthday to The Grit, and a big thankyou to everyone who’s joined us for the ride. We’re stoked that all those thousands of people have tuned in. We’ve covered some interesting and risky territory this past 10 000. The Lord’s Supper, Hell, Calvinism, Katoomba Convention and John Dickson, Justification, and much more. These generated comment at various places around facebook, as well as here at The Grit. Our ambitions for The Grit are that we manage to keep questioning everything, refusing to swallow traditional doctrines and ideas uncritically. That we provide an intellectual irritant to help keep evangelical brains from fossilizing. Also we’d love to see our readers gain the courage to comment more at The Grit. Often people email us comments, obviously they prefer privacy. But wouldn’t it be great if more people felt able to share their views in a public arena? Enriching for everyone. Well, here’s hoping you’ll all be with us at 40 000! Jesus has been prepping his disciples for his coronation, and all that will accompany it. There will be great suffering, there will be mission, there will be judgement, there will be many people unprepared. He’s taking his cues from the prophet Daniel. It’s time to see these themes played out in full colour. Jesus turns them into a series of parables. The point is to concretise and dramatise his teaching, to condense its complexity into simple stories with emotional punch. He wants his disciples to get a sense of what all this will mean for them and for others. The parables help apply all this teaching from ch.24 personally. Let’s see how they do that. This is about leadership in Israel. God has entrusted its leaders with care for his people. But the stewards are conscious that master has been absent a long time. This addresses a fundamental experience and problem in the life of Israel: the throne of David has been vacant for centuries. Israel has been crying out ‘How long O Lord?’ in their communal psalm singing, generation after generation. Meanwhile, the nation has been left in the hands of the priests and teachers of the law. How have these stewards behaved in the king’s long absence? Has their ‘love grown cold’? Have they fallen away to become those who ‘hate and betray one another’? Now the master is returning: the throne will be occupied once more, when the son of man receives the kingdom. Now we will find out who was faithful! The arriving master assesses their work. Those leaders found negligent in their duties, are judged to belong among the hypocrites. Six times in the previous chapter Jesus used this term specifically about the Pharisees and scribes. Here he makes it clear that those groups are in his cross hairs once again. The scribes and Pharisees are the stewards who will be judged. We see this play out in Acts 1-8, and even more so at the fall of Jerusalem, AD 70, when the establishment and priesthood is effectively made redundant. Next the parable of the 10 virgins emphasises the need to be prepared. The great day long waited for, is arriving now. The bridegroom is arriving. Those found unprepared, with no light in their lamps, they won’t get any more chances. They will be shut out. Once again, it is the leaders in view, who are supposed to shine the light of God’s word to the nation and the world. The hour of reckoning is at hand for the Jerusalem establishment. The false prophets will be completely discomfited. The parable ends with an urgent warning and summons to readiness, like a trumpet note. Next the parable of the talents is also about those left with a trust, a responsibility from the master. But once again, the master has been absent a long time. Now the master is returning, to find out what they did with their trust. A division will be made between those who used it well and those who didn’t. These are the words Jesus used back in ch.13 regarding how the nation of Israel listened to the word of God. The slaves here, then, are the people of Israel. They hold this sacred trust: the oracles of God. What did they do with that trust? Did the word of God spring up and come to fruition in their lives? Or did they sit on it? Did the activate the word or bury it? On this question hangs the future of the nation. And now is the time for the ‘settling of the accounts’. For the master has come to home: Jesus is about to be crowned. Jesus repeatedly identified the disciples as ‘his brothers’ (12:49, 23:8, 28:10). They are the ones in view here: the ones who go out on mission with and for him. They are the ones who are going to be hungry and a stranger and in prison etc. As Jesus has insisted before, people effectively divide and judge themselves by their response to these brothers (Matt 10). And, once the son is on his throne, people will receive the reward for their conduct. The welcomers will themselves be welcomed into the new kingdom. The rejecters will be rejected and fall under judgement. But of course, Jerusalem is about to reject Messiah and all who belong to him. We see all this played out in Acts, and in the story of Jerusalem in the 1st century. Messiah’s people will be abused and suffer at the hands of the establishment. But within 40 years the Jerusalem establishment will be completely demolished. These parables, so long puzzled over, are in fact keys that unlock the meaning of the events taking place right then in Jerusalem, in that Passover week. They tell us what is going on, and how to understand the things about to happen. There will certainly be broader applications possible for these parables as we read them today. However, we want to start by understanding what they are about, and how they fit into the story of Jesus’ passion and resurrection, which is about to unfold in Matthew’s gospel. In the first instance – can we bear to accept it? – they are not about us. They are about the people in the story. The parables, like the teaching they dramatise, are about Jewish issues and concerns. They are spoken to a Jewish audience in Jerusalem, by the Jewish Messiah, at the Passover. If we are not interested in Jewish issues, or feel they are irrelevant to us, or just haven’t the patience for them, that is hardly Jesus’ problem! Matthew 24-25 are so painfully confusing for us because they are a Jewish discussion of Jewish issues, using categories and images from the Hebrew Scriptures. We are not in the habit of thinking of Jesus and Christianity as Jewish. And we don’t know our Old Testament much at all. So we are hopelessly lost in these chapters. But for Jesus’ disciples, this was home territory. Like any discussion among experts, much of it could be conducted in shorthand. This makes the teaching extremely dense. So we have to come as outsiders to listen to insiders talk. The first problem to overcome is our assumption that we are well equipped to understand this teaching, and that we can do so within our own non-Jewish categories. It would take a long study to unpack everything compressed into these chapters. But if we did, we would find that it all makes good sense, and makes good sense within Matthew’s narrative, too, as it reaches its climax. What we will try to do is to notice a few of the salient features of the discussion, and use these to give a ‘decoded’, plain english outline of the chapter. Ambitious enough? Implied is that Michael the great prince will soon lead his people through that time of worst suffering. It will involve intimate betrayal and the falling away of many who seemed faithful. And the time is near. But there will be an end to it, it will be followed, as in Daniel, by glory. Well, that’s the message. Then we get to see it played out in the following chapters, in the events of Jesus’ passion. In Zechariah the prophecy goes on: ‘And I will turn my hand against the little ones.’ Jesus is saying that the time of worst suffering, ‘the time of trial’ is about to begin for him and also for them. Then Jesus is betrayed by a close friend and his ‘faithful’ disciples fall away from him. The time is beginning. For anyone who is listening, the Son of Man is just about to arrive! There follows the terrible ordeal of abuse and humiliation to which Jesus is subjected. It goes on and on. Finally he is nailed up on a cross. At this point we see the signs Jesus prepped his disciples to watch out for: dramatic signs in the heavens, for all to see. These are the signs of the arrival of the Son of Man. Were you watching? He is at the very gates! The disciples are so thrown by the crisis of suffering, they hardly notice about the signs. It is left to others to bury Jesus, and to learn of his resurrection. The twelve are totally unprepared, in disarray. And so it is at the time when the disciples are least expecting it, are convinced Jesus has failed, at that hour the Son of Man is being enthroned in heaven! For Messiah’s days of suffering have in fact been cut off after just three days – and so there is salvation for ‘flesh’, i.e, for his chosen ones. Everything has happened, the whole program Jesus outlined in ch.24. Well, almost: the full effects of his coronation will be felt over time. In particular, his disciples still need to do their suffering, announce their message in the world – and the nation of Israel is due to be in grief. The disciples suffering and mission we learn about through the rest of the NT. Israel’s grief we learn about from history: it came in 70 AD, when the temple and the nation were destroyed. For anyone who understood Jewish categories, Jesus in ch. 24 was making himself as crystal clear as he could be. He was simply explaining that the eschatological hope of Israel was reaching its great climax and fruition then and there in Jerusalem at that Passover. Tomorrow: the parables of the Son of Man, Matthew 25. Why is Jesus’ teaching in Matthew 24-25 so hard to make sense of? Why do commentators wrestle with it and come away licking their wounds? Why isn’t it more helpful? What’s it doing there anyway? Couldn’t Matthew just have left it out, and got on with his story? These two whole chapters of talk seem to function as a regrettable distraction from the urgency of the narrative, clogging up the space, dragging on the momentum. And yet he also seems to be describing the end of the age, the final judgement etc. It all has a very ‘eschatological’ feel to it. Those parables! So which is it? Is Jesus describing contemporary events or eschatological ones? Or is he somehow blending the two together in a way which we find pretty confusing and hard to unravel? If so, why couldn’t he have been clearer, talked about one and then the other, like sensible people do when they have two different things to talk about? The people I know who mix different subjects together in their talk, without appearing to notice, are not generally considered to enjoy good mental health. 1. Jesus was talking about contemporary, not eschatological events. He chose to describe them in massively overblown terms, which have confused his followers ever since. The teaching isn’t really for us. 2. Jesus was talking eschatology. What he said wasn’t strictly relevant for the first disciples, but only for those who, reading the accounts later, were actually going to have to face those end times. Which is probably not us, so this teaching, once again, isn’t directly for us. Or maybe Jesus thought the end of the world would come soon – but he was wrong. Despite all this, later when he looked back Matthew chose this particular teaching, out of all Jesus’ teaching, to include at the climax of his gospel story. It basically holds up the action for a couple of chapters, until finally we are able to get back to the story in ch.26. Very strange editorial decision from Matthew, a strange departure from his normal practice of connecting teaching passages with related narrative passages, so that the teaching sheds light on the narrative. 3. Jesus blended two different matters – contemporary and eschatological – because he sensed analogies between them, and discussed them both at once. None of us has been quite sure which bits of the blend are which. It didn’t turn out to be a very helpful approach to communication. In any case, neither of the loci relate directly to us. Different commentators have preferred different options. No one has seemed very happy about it all. No one seems to be jumping up and down saying, ‘I’m so glad Jesus said all this, it just scratches where we have been itching!’ That’s because, you probably noticed, none of the 3 options above is any good. None of these options makes good sense of Jesus’ teaching. That’s a pretty big clue that we haven’t managed to get in Jesus’ headspace. Or Matthew’s. Not even close. I’m betting Jesus’ teaching in these chapters made at least medium-grade sense to the disciples he said it to. That they ‘got’ the gist of what he was on about. I’m also guessing they felt it was directly relevant to them. And I’m guessing that in the light of Jesus’ resurrection, they got to see exactly what he meant, and why it was so urgently important. Matthew thinks this teaching is needed at this point in his story to make sense of the events surrounding it: probably the events about to occur in Jerusalem. I’m betting Matthew was on Jesus’ wavelength here. So can we get back into their headspace? Can we hear it as they heard it? Could we develop a new reading of Matthew 24-25 where it all made good sense, and was all about something? Where it helped along the narrative? I think we can. But we may not like it. Tomorrow: a different view of Matthew 24-25. “There was a silly damn bird called a Phoenix back before Christ, every few hundred years he built a pyre and burned himself up. He must have been first cousin to Man. But every time he burnt himself up he sprang out of the ashes, he got himself born all over again. And it look as if we’re doing the same thing, over and over, but we’ve got one damn thing the Phoenix never had. We know the damn silly thing we just did. We know all the damn silly things we’ve done for a thousand years and as long as we know that and always have at around where we can see it, some day we’ll stop making the goddam funeral pyres and jumping in the middle of them. We pick up a few more people that remember, every generation. Bradbury wrote a book all about books: Fahrenheit 451. At the end, speaking through the character Granger, he bares his soul in this inspiring passage, just dripping with anger. The idea is that only remembering our past can save us from ourselves. The book is about a society determined to forget, to live in the moment and erase the past. Burn all the books. Flame is the dominant image of the book. This wilful forgetting leads to the flames of catastrophic war. But there are a few who remember, who carry the memory of the books inside themselves. They are academics, liberal intelligentsia. In the books they remember, are the accumulated memories of mankind. And this is our only hope. For as we remember the memories, we will eventually, one day, learn. Those who remember, though a small minority, will grow slowly into a great force that will finally, fix things. Like a Phoenix mankind will arise one last time from its own ashes, and will ‘stop making the goddam funeral pyres and jumping in the middle of them’. As a humanist philosophy, as a manifesto of hope, Bradbury’s vision is compelling. But as historical analysis, it needs questioning. The nineteenth century was the time when education became universal in Western Europe. And at the end of that time, we tore ourselves apart with the first World War. And then with the Second World War. And the nation which was the most highly educated, the most bookish and scholarly, by a country mile, was Germany, the nation that started both of those wars. Didn’t Bradbury notice any of this? We can now go further. We can say that the century which saw the most books produced and read is the 20th. And this century saw more and bloodier wars than any other in the history of mankind. And by now we know in our hearts – there will be more wars, and perhaps worse than before. It’s not so easy to stop the flames. In retrospect, Bradbury’s passionate humanist hope in education seems to fail to grasp the depth of the human problem. Which is this: that we can remember, and understand about past evil, and be very well informed and still do the same things again. And again. Our capacity for self-deception, for delusion and for wickedness, goes beyond anything that mere memory can heal. There are forces at work in our hearts so powerful, they knock out reason in the first round. In short, while Bradbury has faced the misery of our human story with a gritty realism, he does not seem to have allowed for the demonic. And so the ending lacks the solid earthy connectedness of the rest of his book. The more you think on Granger’s words, which at first are so stirring, the more they sound like so much wishful thinking. Fine sounding phrases and Utopian ideals, which will never manage to jump the gap and translate themselves into the harsh reality of human existence. Bradbury finishes his book quoting Revelation 22, ‘and the leaves of the tree were for the healing of the nations’. He is clearly drawn and fascinated by this image of the nations’ final healing. But he seems unaware that the scene belongs to a different story: not one where the hole to bury evil in was dug by mankind’s big steamshovel, but one where it was a fresh cut tomb in a garden. Not one of mankind as a Phoenix who learns to avoid the flames – after all, what good would that be to a Phoenix? – but one where the man submits to be baptised with fire. And the flames are God’s, so strong they get right inside the man, and burn away all the evil, and empower him to rise into everlasting life and freedom. There was never any hope anywhere else. Let’s see if we can get our heads around where Chappo was coming from in this book. Overall, you might have noticed I was disappointed with it. It’s not one of Chappo’s best. I’ve read and enjoyed A Fresh Start, and Setting Hearts on Fire. But this one, it’s a pity it got published. I’d leave it alone. In my view, Chappo’s eschatological framework doesn’t hang together, and as a result doesn’t do the job we were hoping it would do in informing Christian living. So we’re going to stick with his theology for a bit. Why is Chappo so far off the mark in his eschatology? We can only speculate. But I think the problem is something like this. He takes terms like ‘kingdom of God’, ‘new creation’ and ‘world to come’ in a very concrete, spatial sense. There is literally a new place being prepared, which will replace the present world. I think he is working with a ‘replacement’ eschatology, where the current creation will be lost. No continuity between creation and redemption. If you’re seeing it like that, then of course the new creation is pretty much ‘all or nothing’. It can’t arrive a bit, and then hang around in the present: it’s a physical place. So then there are only two times: the time before the new creation’s arrival and the time when it has fully arrived. Unrealised or fully realised eschatology would seem to be the only possibilities for Chappo. He doesn’t see that this age and the age to come refer to different times in the history of the creation. The phrase ‘kingdom of God’ can equally be translated ‘the reign of God’, referring to conditions in which God’s rule is finally enjoyed on earth – rather than to a different creation altogether. Like in the Lord’s prayer: ‘may your will be done on earth, the way it is in heaven.’ But Chappo is clearly not hearing any of this dynamism in the phrase ‘kingdom of God’. The phrase ‘new creation’ in the NT refers more to the reality of people being transformed than to a finished new cosmos. But Chappo insists on giving it the latter sense. By taking these phrases in a very spatial, territorial sense, rather than a dynamic one, and by not noticing that the temporal emphasis of the ‘this age/next age’ language allows for continuity of location, Chappo effectively shut the door on the possibility of partly realised eschatology. But this experience of partial arrival – living with a small taste of the glories of the age to come, while we still struggle with the misery of this present age, and wait for the full deal – isn’t this the NT vision of what it means to have ‘a foot in both worlds’? There’s been a pretty wide consensus among bible scholars over the past century that partially realised eschatology is fundamental to the NT’s theological vision. Chappo seems not to have come to terms with this. And so the book’s lack of creative insight into the pastoral challenge of Christian living, really springs from its fundamental theological failure. It’s a pity Matthias saw fit to publish this book: it certainly does nothing to enhance Chappo’s reputation. And the Christian reading public deserves better. For a far more insightful, creative and pastorally helpful take on these issues, try Richard Gaffin’s little book, By faith, not sight. Chapter 5 is titled Relieving the Tension. It’s not easy, living with one foot in this world, and one in the next. Chappo gives us two chapters on living with this tension. A long chapter on what not to do, and then a tiny chapter on what to do. Hmm. First Chappo warns of the temptation of trying to reduce the tension of living with a foot in this world and one in the next. He spotlights a few common ways Christians go wrong in this area: the ‘entire sanctification’ movement exemplified by Keswick; the charismatic movement; overstated healing ministries; the ‘prosperity gospel’. From the point of view of a Sydney evangelical, these are the usual suspects. Eschatology is the study of the last things, such as the return of the Lord Jesus, the final judgement, and the new creation. ‘Realised eschatology’ attempts to realise or obtain now what actually belongs to the new creation. Well, it’s helpful to have him lay his cards on the table like this. New creation, last judgement, the last things: for Chappo these are all still entirely future. Eschatology is about things that will come later. And since they are future, it is a mistake to think we can experience them now. There is no eschatological dimension to our present life. Hmm. You might have thought that with a foot in each world, we might experience something of both worlds. But no, that’s an error. You will remember we noticed last chapter that that second foot didn’t get too firmly planted in the world to come. Now we get to see how that plays out in Chappo’s view of Christian living. For most Christian thinkers in the past century, the debate has been about how realised our eschatology ought to be. In between ‘fully realised’ and ‘not at all realised’, there’s a continuum of positions, with a lot of room for differences of opinion. How much of the new creation should we Christians expect to enjoy in this life? A typical criticism of others’ views has been to say they have an ‘over-realised’ eschatology, or an under-realised one. They are too far up one end of the continuum, or down the other. Chappo does not engage with the niceties of this debate. It seems that for Chappo any suggestion of the new creation being experienced at all, here and now, is an error. He’s not on the continuum at all. By now it is clear that Chappo holds an extreme position on eschatological issues, out of step with the mainstream view in the Sydney diocese. Around here we like to talk about the ‘overlap of the ages’. If you’re wondering how such an extreme view can be sustained in the face of the NT writings, shot through as they are with realised eschatology – Chappo gives us an example. Romans 6 is a classic text where, we might have thought, the realities of the age to come are applied to Christian believers now. Christ has died and risen, sin’s power over him is broken once and for all. And those who are baptised into him share in this new reality: in Christ we have ‘died to sin and come alive to God’. Something major has happened to us in the realm of ownership and power and loyalty: we are no longer the slaves of the evil one or of sin. That’s what Paul says in Romans 6, right? No, says Chappo, actually Paul is only talking about the guilt of sin. Forgiveness. Romans 6 is simply about justification. I’ve read a lot of commentaries on Romans 6 in my time. Never read one that has advocated this narrow reading. I’m not sure why Chappo takes such an extreme approach to these things. But it certainly makes it a simple business to critique the other guys. They all go wrong by realising eschatology, when it should be kept future. The trouble for me is, it occurs to me that this critique could be used against my ministry too. I’m on about creating an authentic gospel community: one centred around Christ, where people from every tribe and tongue are gathered together in worship and praise. Where old barriers are down, and we have unity because we are brothers and sisters in Christ. This is the chapter where Chappo aims to bring it all together, and explain his basic image of the Christian as a person standing in both worlds at once. “They are children of this world with all its high and lows…And they have become children of the age to come, with all its glories and blessings.” Sounds promising – and complex. What does it involve? In particular, we want to know what it means to have ‘a foot in the world to come‘. Chappo has already made it clear enough what it means for us to have a foot in this world! He devotes three (small) pages to this. 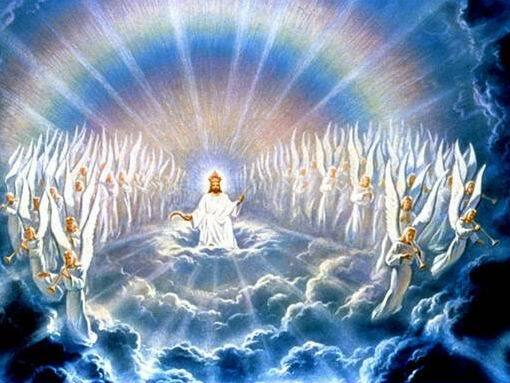 First, we are seated in the heavenly realms with Christ. What does this mean? Unfortunately Chappo does not say. How does it relate to the ‘this world/world to come’ structure he is pursuing? Chappo does not say. Perhaps he has in mind that the heavenly realm = the future age. He’s never mentioned ‘the heavenly realm’ until now, so we’re not sure. Presumably the alternative is the earthly realm, which would = the present age. None of this is clarified. But if this is what Chappo means, then some pretty big questions are generated: how is it that Christ is already in the future age? Sounds like there might be a story behind this? But we don’t get to hear the story. And what does it mean that we are seated in the future? No explanation. Next, having a foot in both worlds means we have eternal life. What is eternal life? No explanation. Next, we receive the Holy Spirit, who works in us. This is something different from having eternal life, if the two are linked, Chappo does not say so. In the past we humans ‘always said No to the challenge of the gospel.’ The Spirit enables us to say ‘yes’ instead. He also ‘reassures us that we do indeed have a guaranteed place in the world to come’. How does the Spirit’s presence in our lives reassure us in this way? Chappo does not say. This is all we get on what it might mean to have a foot in the world to come. It’s fine as far as it goes. The trouble is, Chappo has not quite managed to talk here in terms of the world to come, or to relate this description to the ‘new creation’ eschatology of his previous chapter. So it is not clear that he is painting a picture of having ‘a foot in that world’. The most I can glean from these pages, is that we have a membership in that future world, in Christ, and the Spirit reassures us of this. If you’re feeling like that second foot is not very firmly planted, I’m with you. This extremely slender account of what it means to belong to the new creation, is hardly going to be rich enough to give many clues for the business of discipleship (Chappo’s real interest). And indeed, for the remainder of the chapter, as Chappo gets practical, all attempt to employ the ‘two worlds’ categories is abandoned. He details the struggles in the Christian life as we battle against ‘the world, the flesh and the devil’. We were expecting to hear about the tension of living with a foot in the present world and one in the world to come. What we get is a longish description of the tension between the Spirit and the devil/sin. The Spirit’s presence in and with us starts this battle, empowers us to fight it and we must fight it with strenuous effort. Perhaps there is an eschatological dimension to this description which I have missed: but if so Chappo doesn’t tell us what it might be. Chappo’s attempt to describe the Christian life in eschatological terms didn’t really come off. He baulked at the crucial moment: we got two worlds, we got one foot on the ground back here, but never quite got to see how the other is placed in the future. In the absence of the gospel story, of Christology, Chappo was never going to be able to land that foot. As a result, the description of the struggles of the Christian life reverts to a very traditional approach. Teaching about a ‘strenuous effort against the lures of the world the flesh and the devil’ – what track could be more well worn than that one? Muscular Christianity, and all that. No fresh vision, no new insights here, after all. One of the most traditional and disappointing aspects of this description is that it is almost entirely in individualised terms. The question raised back in chapter 2 was ‘what can fix this broken creation?’ The answer here, relates largely to the individual. It seems the way of redemption is one which we tread alone. Things have got narrowed down somewhat! I haven’t managed to find much positive to say about this chapter, have I. If you’d never heard teaching on sanctification, then Chappo’s by-the-numbers account of it might be some help. That’s the best I can say. But as for Chappo’s eschatological approach, really by the end of this chapter the wheels are well and truly off the vehicle.